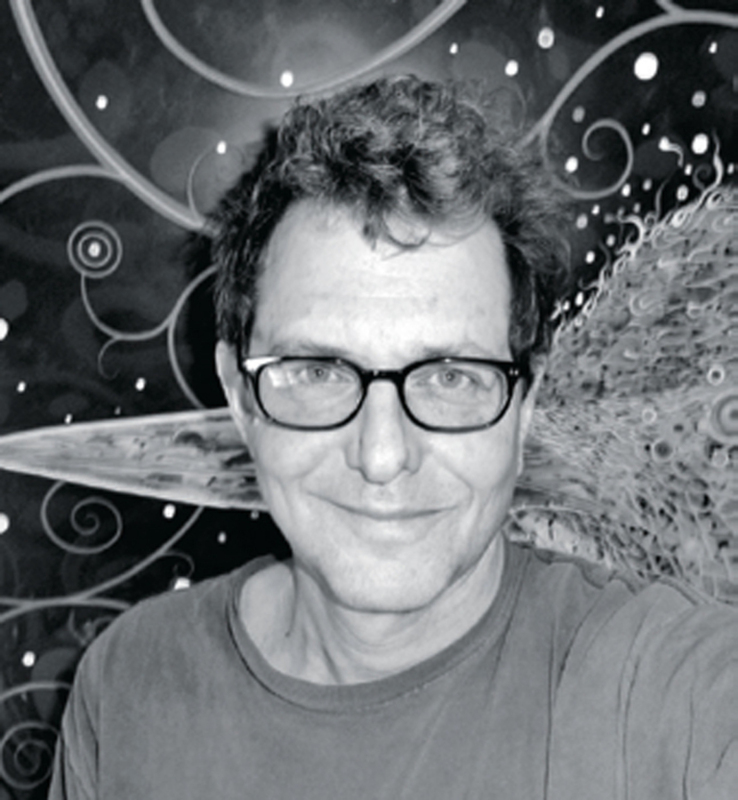 Fred Tomaselli is an artist based in New York. His paintings and collages have been exhibited at such institutions as the Whitney Museum of American Art, New York; the Rose Art Museum, Waltham, MA; and the Aspen Art Museum. A survey of his work is currently on view at the Modern Art Museum of Fort Worth, through March 23. This May, Prestel will publish The Times, a book comprising Tomaselli’s recent series of manipulated New York Times front pages. Last year, I visited this Soviet-era museum dedicated to the work of Nikolai Syadristy. Set within the campus of a twelfth-century Orthodox monastery, it houses rows of microscopes focused on tiny sculptures, such as a real flea shod in golden shoes or a carved-glass map of Australia set within half a poppy seed. My favorite is Rose Inside a Hair, which consists of a microscopic long-stemmed rose inserted into a clear, hollowed-out strand of hair. I thought it was a hoax until I pulled away from the microscope and squinted to see the tiny hair lying on the slide tray. 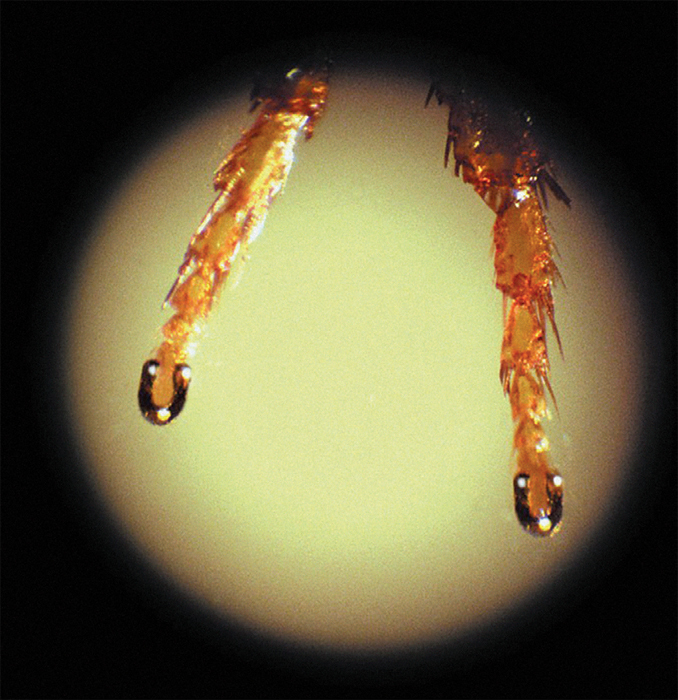 Magnified image of Nickolai Syadristy’s Shod Flea, 1959, showing gold shoes on the feet of a flea. This winter saw the largest invasion of snowy owls ever recorded in New York City. Fleeing dire conditions in their Arctic home, these hungry raptors came here looking for food and immediately took up residence at local airports, which, to them, resemble the tundra. At first, airport officials responded by shooting the birds, but the ensuing outcry forced them to end the slaughter and remove the creatures humanely. Watching these huge white owls attempting to pick off urban rabbits at the decommissioned runways of Floyd Bennett Field was like experiencing a visitation from another dimension. 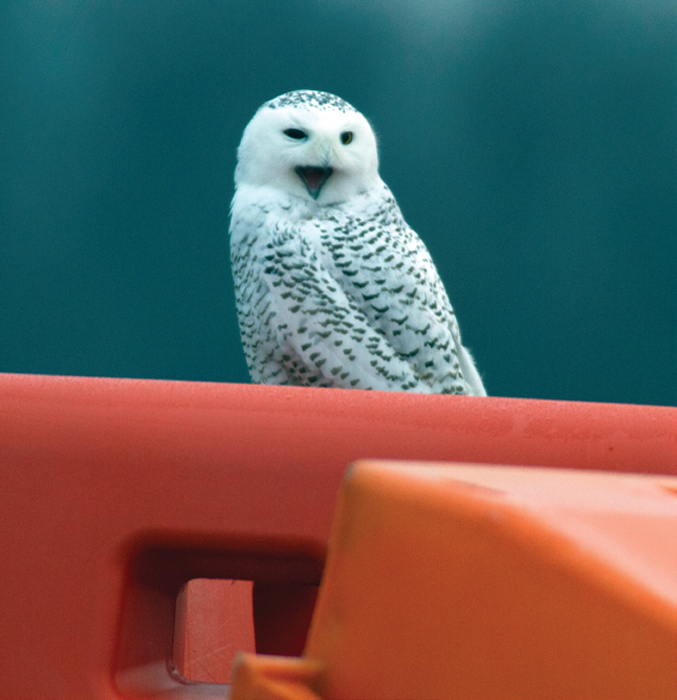 Snowy owl, Floyd Bennett Field, New York, December 10, 2013. Photo: Klemens Gasser. Black Flag was never more intense than when Keith Morris fronted the band some thirty-five years ago. Now he’s back with a new group of LA stalwarts, and the project is as funny, angry, and powerful as anything he’s ever done. Like Black Flag, Off! (also named after an insecticide) comes wrapped in Raymond Pettibon’s wonderfully dyspeptic drawings. The band’s fast blast of noise is like a pot of coffee poured directly into the ear. But if comic aggression is not your cup of tea, you might try Xenia Rubinos’s “Pan y Café” from her terrific debut album, Magic Trix (Ba Da Bing, 2013). With the help of drummer Marco Buccelli, her crazy syncopations and amazing voice bounce between Latin, pop, and experimental while always remaining super tuneful. OFF! 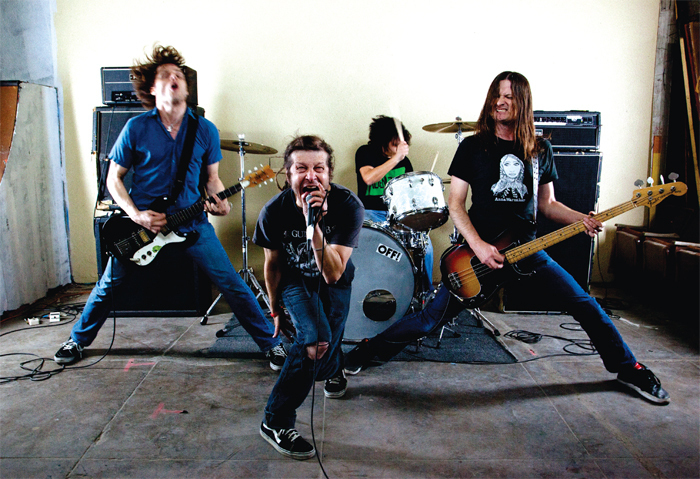 performing in their 2012 music video Wiped Out, directed by Richard Kern. Photo: Richard Kern. ROBERT IRWIN, SCRIM VEILBLACK RECTANGLENATURAL LIGHT, WHITNEY MUSUEM OF AMERICAN ART, NEW YORK, 1977. Of all the excellent work from California that flooded New York last summer, this legendary recalibration of space was one of my favorites. With almost nothing, and no electricity, Irwin transformed not just the Whitney’s fourth-floor gallery, but perception itself. Every visit yielded a new revelation. Moody’s latest novel is the funniest, darkest, and truest book I’ve read all year. Huge and sprawling, it bravely chops up narrative, vacillating between the cosmic and the comic yet remaining deeply moving. Set in the near future of lowered expectations, it’s an ambitious read and worth every word. Curated by artist Tom Burckhardt, this show explored the history of one East Village building’s inhabitants to find a universe of undergrounds spreading out from its foundation. 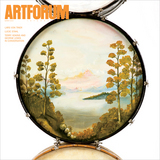 Through the work of Allen Ginsberg, Jean Dupuy, Claes Oldenburg, Yayoi Kusama, Richard Hell, Walter Robinson, Kathy Butterly, Fred Wilson, Whitfield Lovell, and others, this act of urban anthropology revealed a palimpsest of happenings, poetry, music, and art. It’s exactly the kind of New York I once dreamed of. 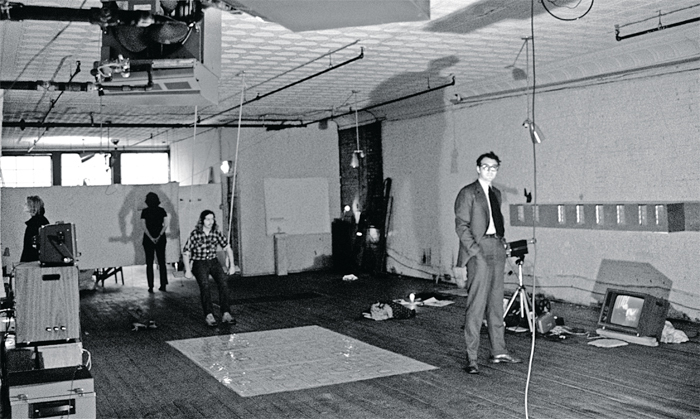 View of group exhibition curated by Jean Dupuy, 404 East 14th Street, New York, 1973. From “404 E 14th.” Photo: © Christian Xatrec. Joshua Oppenheimer’s harrowing documentary follows a group of aging murderers as they reenact their participation in the killing and torture spree that ravaged Indonesia in the mid-1960s. These remorseless thugs model themselves after characters from American gangster movies while attempting to make their own film about their real-life pageant of cruelty. Following decades of suppressed trauma, the catharsis that unfolds is devastating. This issue of the journal, which lists Henry Kissinger as a faculty board member, features the early research on psychedelics that was coming out of Cambridge, Massachussetts, right before all hell broke loose. With essays by Timothy Leary, Richard Alpert (Ram Dass), naturopath Andrew Weil, and ethnobiologists Richard Schultes and R. Gordon Wasson, plus a thoughtful review of the then-banned Naked Lunch (1959), and “before-and-after” artwork by Arthur Hoener, it was one of the first publications to map the emerging frontier of chemical propulsion through inner space. 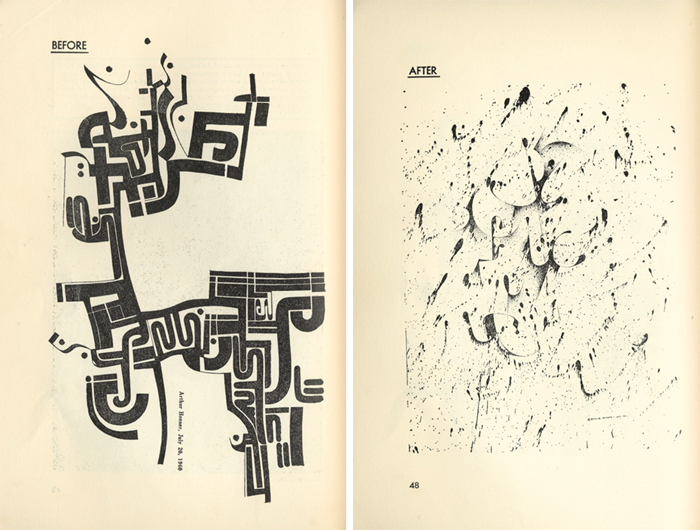 Two drawings by Arthur Hoener made before and after taking psilocybin, The Harvard Review vol. 1, no. 4 (Summer 1963). Mike McGonigal, founding editor of Yeti magazine, recently completed a pressing of small-batch records for a club powered by listener subscribers. His mix of punk, gospel, psych, blues, and general weirdness has always been illuminating and is often sublime. Based in Portland, Oregon, he will soon decamp to Detroit to start another series, utilizing the small vinyl-record plants that still dot the city. In the meantime, check out the outsider blues of “Rattle the Bones,” a track by one-man band Abner Jay. I’ve watched two-year-olds furiously dance to this song. This remarkable collection of short fiction came out of a series of writing workshops conducted in Kabul by musician and author Adam Klein. By turns horrific, comedic, surreal, and sly, this book reminds us that Afghanistan is inhabited by a multiplicity of individuals and is not just an arena for a clash of civilizations. History may be written by the winners, but this book offers the rare experience of encountering young voicesside by side and in direct conflictscripting history as it unspools. 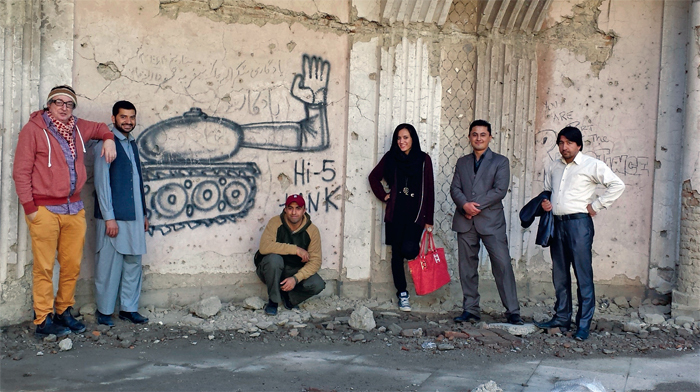 Adam Klein (left), editor of The Gifts of the State: New Afghan Writing (Dzanc, 2013), with writers (from left) Fazilhaq Hashimi, Khalid Ahmad Atif, Helay Rahim, Hoshang Sulaimanzada, and Ali Shah Hasanzada, Darul Aman Palace, Kabul, Afghanistan, November 2013. Photo: P. Revere.